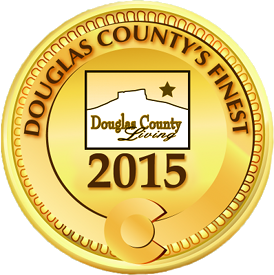 Thank you Castle Rock For voting us Douglas County's Best 3 out of the last 4 years! Helms Chiropractic and Wellness in Castle Rock CO 80104 is a family chiropractic center and has been voted best chiropractor and top chiropractor in Castle Rock. Helms Chiropractic and Wellness has offered quality chiropractic care since 1999. Dr. Helms has helped thousands of people improve there quality of life, and lead happier, healthy lives. At our chiropractic center in Castle Rock, we want to make you feel like family and provide the highest clinical quality care possible. At our Castle Rock chiropractic office we specialize in chiropractic, herniated discs, ruptured discs, slipped disc, Osteoarthritis, neck pain,Sciatica, lower back pain, back spasms, Neuropathy treatment, headaches, and many other conditions. Helms Chiropractic and Wellness, Chiropractor near me, provides services to many people located in the chiropractor 80104, 80108, 80109 zip codes. As a Chiropractor in Castle Rock Dr. Helms has provided chiropractic care for 16 years and is a Colorado Native. Dr. Helms voted best Chiropractor is proud to call Castle Rock home and looks forward to serving in his community for many years to come. "Helms always takes the best care of my family!!! I refer them to everyone and always will #clientforlife"
"Ryan knows what he is doing! His equipment is top of the line. I had a couple of compressed discs in my lower back. Because of Dr Helms I am healed!!!!" "Helms is one of the good guys! My entire family goes to see him with many different issues and Ryan always fixes us!!" Watch our patient testimonial videos.